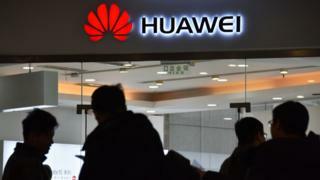 Huawei is under increasing scrutiny, with the US and others expressing concern its technology could be used by China's security services to spy. Its chief financial officer Meng Wanzhou - the daughter of its founder - was arrested in Canada last month and faces extradition to the US on charges of breaking Iran sanctions. According to a LinkedIn profile, Mr Wang was a sales director at the firm and worked as an attache at China's embassy in Poland from 2006-11. Huawei's statement said his alleged activity had "no relation to the company". "In accordance with the terms and conditions of Huawei's labour contract, we have made this decision because the incident has brought Huawei into disrepute," it added. On Thursday, a Warsaw court agreed to prosecutors' requests to arrest the two men for three months. If found guilty of spying, they face up to 10 years in prison. TVP reported that Huawei's office in Poland had been searched by the ABW. Both men's homes had also been searched during the investigation. Under Chinese law, firms are compelled to "support, co-operate with and collaborate in national intelligence work". Its media-shy founder, Ren Zhengfei, is also a former engineer in China's army and joined the Communist Party in 1978. Her arrest has led to a major diplomatic incident, and two Canadians - former diplomat Michael Kovrig and businessman Michael Spavor - have since been taken into custody in China on charges related to "national security".